Being mauled by a bear got Leonardo DiCaprio an Oscar. Being mauled by the Bears gave Kansas football its fifth loss of the year. McLane Stadium is one of the best college football venues in the country. Fans catch a glimpse of the brand new facility with a backdrop of the Brazos river behind it. On Saturday, Jayhawk fans caught a glimpse of embarrassing defeat, as Kansas fell to #11 Baylor, 49-7. After playing TCU to the final whistle last week, KU imploded from the start in this one, trailing 42-0 at the half. In fact, the game was much more worse than the score reflected. Here’s how the pitiful four-hour game played out. Baylor’s first drive started at their own 20. It ended in the endzone just three minutes later on a Seth Russell five-yard scamper. Attempting to strike back after the quick touchdown, Kansas started a big drive of their own. The Jayhawks took the ball inside the Baylor 50, but a Ryan Willis pass ended up in the hands of a Bear. Nobody touched him on the return, and Baylor raced to a 14-0 start just six minutes in. The highlight of Kansas’ next drive wouldn’t be on offense, but on special teams. Jayhawk kicker Cole Moos booted it 82 yards, and Kansas downed it inside the Baylor five. Nothing would go for either teams on their succeeding drives, as Baylor punted, while Kansas was stopped on fourth down. Although, on the Bear’s next drive, a fourth down conversion turned into a touchdown on a Seth Russell 26-yard touchdown. Baylor took a 21 point cushion into the second quarter. The Jayhawk offense found nothing in its first drive of the period. Baylor took over on the Jayhawk side of the field, and after a few first downs, ended their drive on a missed field goal. Unlike the offense, the Jayhawk defense was taking care of business, pushing Baylor to fourth down on the fifth consecutive possession. Following a Jeremiah Booker 27 yard reception, Willis’ poor read and pass ended up in the hands of the Bears, again. Despite having favorable field position, the Bears offense couldn’t capitalize, and the astonishing Jayhawk defense would force them to kick a field goal. For the second time in the contest, the field goal went wide, and the Baylor lead remained at 21. Kansas would turn the miss into nothing. On yet another possession, KU failed to get a first down. Baylor was able to get more than just a first down, concluding their next drive with a KD Cannon 59 yard touchdown. At this point, nothing could go worse for the 1-4 Jayhawks. Although, things did in fact get worse, as KU center Joe Gibson’s snap went wild. Baylor fell on it at the four, scoring on their first play there to extend the score to 35-0. Kansas might’ve play TCU tight, but in recent memory, the annual game against Baylor is one to forget. Baylor would score one more time in the first half, taking a 42-0 lead into the locker room. Kansas’ offense was horrid in the first half of the game. Their first drive in the second half would look no different. Baylor picked off Ryan Willis for the third time in the game, on the third play of the drive. Baylor, much like previous interceptions, would turn the turnover into points. In only a matter of moments, the scoreboard was to malfunction. 49-0, Bears, four minutes in the second half. 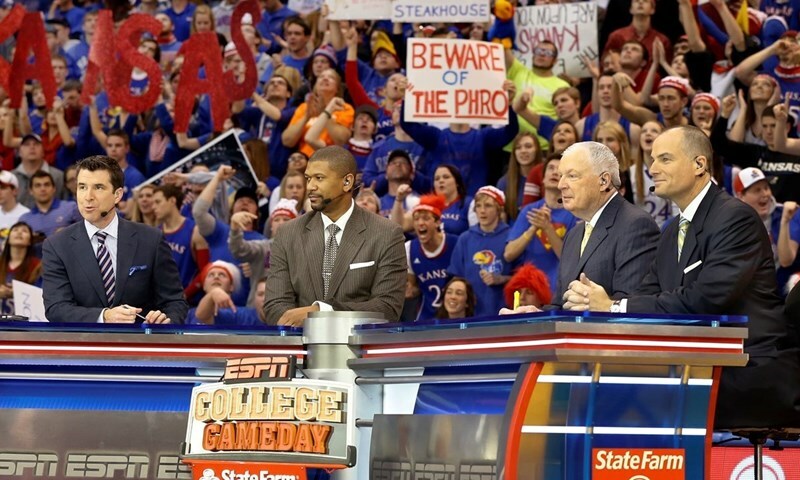 Jayhawk fans, at this point, had enough with the game. So did David Beaty, with Ryan Willis. Deep in the third quarter, Carter Stanley came in at quarterback for the Jayhawks. Stanley and the Jayhawks pushed the ball all the way to the two, where Kahlil Herbert would score for the Jayhawks. Minutes later, the Jayhawk defense forced a Baylor fumble, and recovered it. Kansas coughed it up one minute later on a Carter Stanley interception. Neither team would do much following the turnover, as Baylor would walk away with a 49-7 win. A massacre from the start put the Jayhawks at 1-5. 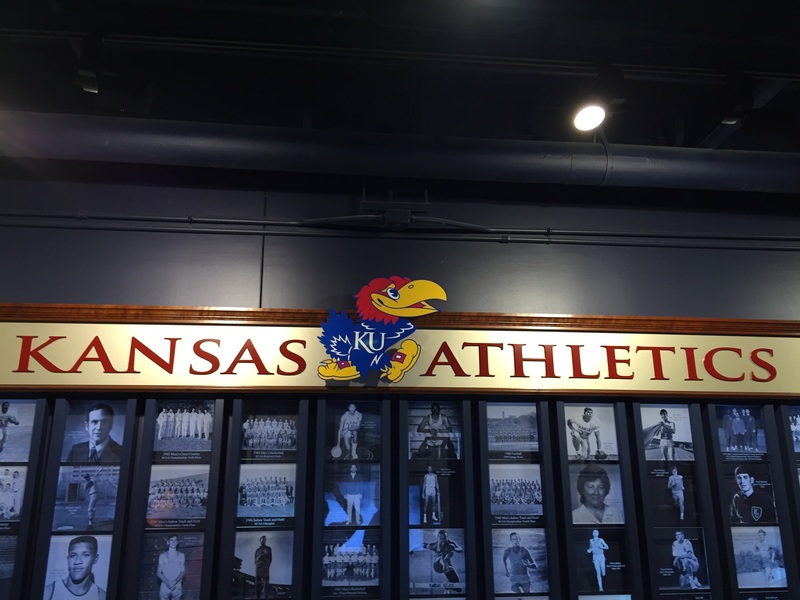 Next week, the Jayhawks host Oklahoma State at 11 am, on Fox Sports 1. The rest of the stats are too ugly to publish.